Halloween is over, it’s dark out all of the time, and No-Shave November is upon us. With winter right around the corner, the nerds at Beardilizer HQ started making the tried and true ‘Game of Thrones’ joke about winter’s upcoming arrival. While the HBO show may not be returning until April of 2016, there is no shame in revisiting the amazing beards of the show. After all, is it not a show that is well known for its revival of the non-hipster beard? While there are fan favorite beards, the dudes here at Beard HQ have never been known to shy away from their opinions, especially concerning facial hair. After all, as the louder staff members all said, it is what we do for a living! Shots were fired early during the GOT staff meeting. “John Snow knows nothin’ about growing a beard, that’s a fact!” It is not surprising that the first beard to come up was the John Snow beard of shame. 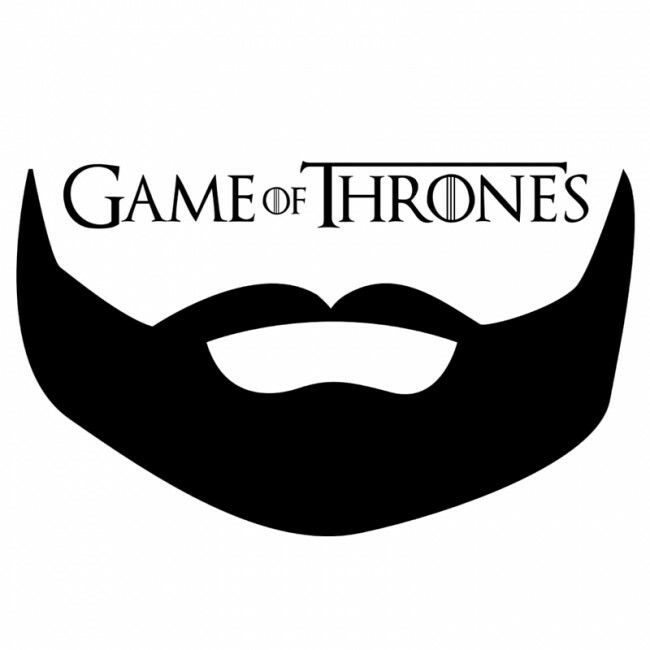 One of the guys tried to compare Kit Harrington’s beard to the other glorious beards on the show, but there was an overwhelming stance by Team Beard about how that beard needs to grow up and learn a thing or two from the surrounding cast members. The jokes were tossed around about how badly Kit Harrington needs a care-package from Beardilizer; it was even suggested that Beardilizer become the unofficial sponsor of the Hair and Makeup team of GoT. When you’re around great beards, all day, every day, it’s hard to not want the best for everyone, even John Snow. Despite the uncertain future of that awful beard and the body that it is attached to, the real deal beard comes from a cast member who is often underappreciated. Everyone on Team Beard agreed that their favorite cast beard was the Wildling’s Tormunds Giantsbane. Kristofer Hivju rules. His giant, kissed-by-fire beard made him the favorite Wildling, even if he did (at one point) shave his beard off. Hivju has been quoted by cast members saying that his beard is part of his identity, which only adds to the amazing, flaming mane. If you weren’t paying attention, his beard was even bigger in the recent remake of ‘The Thing’, a Beardilizer favorite. The Wilding’s beard stands as one of the best and brightest (literally) out of the entire cast. Beardilizer staff all agreed that his beard is one of the best beards they have seen on TV in a long, long time. An intrepid, geeky, beardo was quick to point out that there were other fine Wildling beards. Part of Game of Thrones’ appeal is the attention to detail. While John Snow’s beard is terrible, the Wildling’s hold it down when it comes to rugged masculinity. Only the most badass fight for the Wildlings! Last season, as it was pointed out by a super-nerd who asked to remain anonymous, a group of fantastic beardos were slaughtered in an epic battle scene. Of course, Beardilizer has to give it up to metal gods, Mastodon, for somehow sneaking on the show and making the bloody saga even gnarlier. Those beards! That blood! The glory! Those guys don’t need a starter kit for getting back their beards in shape after No-Shave November, but maybe Team Beardilizer will send that no-nothin’ John Snow a gift for the holidays. Remember, death before dishonor a/k/a shaving!